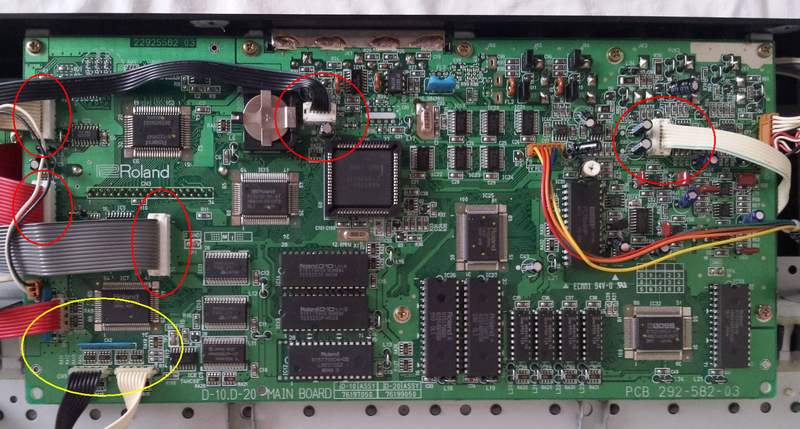 I have a little problem disconnecting the white connectors on the Roland D10 main board. Do anyone knows how to do this? hi ,,I have 2 d10 ,,which connector the white ribbon cable or the white flex shield ribbon? The red ellipse marked ones. I dont think the yellow marked connectors are disconnectable. I think the the U-20 has a similar connector. It's not easily to see how these work at first glance. Press down on the top using a small flat-blade screwdriver and then pull the cable out. 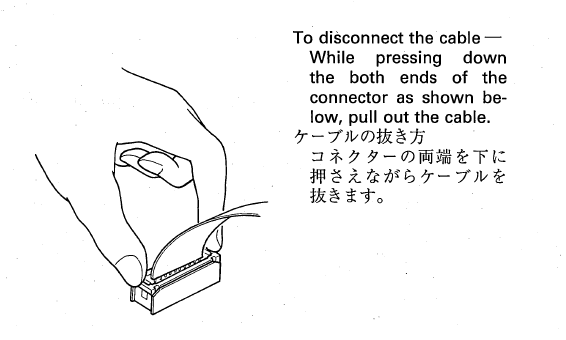 Here is a link with a diagram showing how to disconnect those @!#%ing cables. I have been known to be wrong ,,, think there are two types ? Oh, at least i was able to understand. My bad. And it was in the service manual too.